We are dedicated to the success and prosperity of the Labrador Retriever, as amateur Breeders we strive towards the enhancement and training of the breed. Our Labrador Retrievers are genetically, mentally, and physically driven field dogs. Labradors have been a part of our lives for over 30 years. There have been many memories in the field, such as, field trial events, hunt tests, and hunting opportunities with faithful companionship. 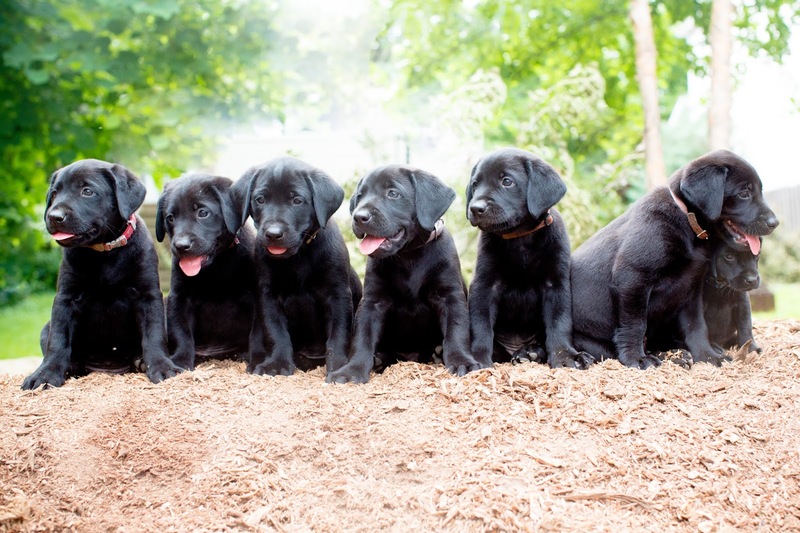 Our breeding program is designed to take the best traits of a working American Labrador Retriever and combine that with the best traits of a British/Irish field trial Labrador Retriever. Why UKLabradors? Our desire is to provide a combination of important qualities in a retriever (including on land and in the water) and a natural ability to demonstrate precision and impressive retrieving skills in the field for hunting purposes. In addition, having a dog that is intelligent, loyal, obedient, and a loving companion in the home. Working American Labrador Retrievers (AKC) are generally bred bigger and with an intensity for drivenness within the field of hunting. Working British/Scottish/Irish Labrador Retrievers (EKC) are typically bred for their behavior in steadiness, contentment, and ability to be trained within an environment of retriever field trials or hunts. They are enjoyed for their uncanny ability to retrieve to hand and deliver with a calm temperament. British/Scottish/Irish retriever field trials are experienced differently then the American counterpart retriever field trials. Typically, UK field trials will involve driven birds or walked-up birds. These birds are usually moved by the Underkeepers and/or Beaters that are behind the line. The field will consist of a line of retrievers that work the field at the handlers discretion. Often distractions inhabit the field where a dog must remain calm and collected until they are sent by the handler from the line. The Labrador's must walk and remain quietly at heel with their Handler when the birds are flushed and shot. Another important behavior is the retriever must show the ability to work the field with initiative and persistence that pays attention to the details involved with a British/Scottish/Irish shoot. They must mark a particular bird in the midst of many other birds already downed within the field. This requires patience and manners that are eventually bred and exhibited by the best British/Scottish/Irish field trial winners. Lastly, the geographical barrier between these countries promoted breeding programs for Labrador Retrievers that were unique and particular within there perspective countries. The Labrador Retriever breed originates from what is known as the St. John's Dog (a.k.a. lesser Newfoundland Dog) off the coast of Canada. Newfoundland was settled by Fishermen in the 1500's and the St. John's dog developed alongside the fishing occupation. The fishermen of St. John's port (East Coast of Newfoundland) used the dogs to retrieve the fish that had fallen off their hook lines. Their dense short coat, repelled water and provided resistance to the cold, making them ideal working companions for the fishermen. The dogs were considered to be 'driven' and had a disposition that was eager to please their masters and worked tirelessly during the day. In 1807 several dogs were brought over to England by the Earl of Malmesbury. He was impressed by the St. John's stamina, their 'sporting' natural abilities, hardiness, and an enjoyable temperament. The Earl of Malmesbury decided to embark on a breeding program at his 'Labrador' Kennel. The Earl's dogs were used for shooting sports as early as 1809 and he is known to be very influential for perpetuating and keeping the Labrador Breed alive and active. The St. John's dogs eventually became extinct within their native Newfoundland lands because of heavy taxation on the dogs and the stipulation by the Governor that households must be restricted to only one dog. These policies resulted in many dogs being destroyed at birth and by the 1930's the breed was extremely rare in it's native homeland. Although, due to British gentry and foresight (the 6th Duke of Buccleuch imported several St. John's dogs for his own kennels and the 12th Duke of Home also was impressed with the Earl of Malmesbury's dogs that he too went ahead and carried on a breeding program) the breed was given a second chance within the UK. Their dogs ('Ned' born 1882 and 'Avon' born 1885) are known to be the ancestors of all British Labradors. The Labrador Retriever was finally recognized by the English Kennel Club of Great Britain in 1903 and the American Kennel Club in 1917. The St. John's coat was originally black, although there is evidence that 'chocolate' and 'yellow' colored dogs existed in the breed later on (Ex: Ben of Hyde). These recessive colors, the chocolate, and yellow puppy coats would occasionally appear in later litters. During that period those colors were considered to be 'off colors' and often 'culled' until the American and British Kennel Clubs accepted them at the turn of the 20th Century. The first yellow Labrador Retriever recorded was born in 1899 known as 'Ben of Hyde'. Early Labrador Retriever stock had white muzzles, and feet, nowadays no longer accepted in the Labrador Retriever breed standard, although it is interesting that older dogs of today's breed very often become white/gray in these areas with age.